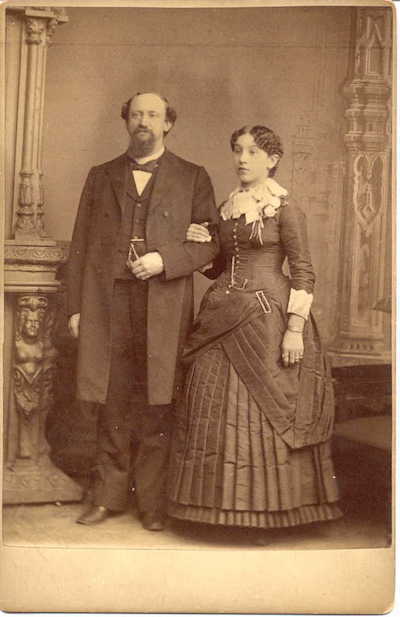 "Illinois, Marriage Index, 1860–1920", database, Ancestry.com, "2 Oct 1884, Greene, Illinois, Henry A Doty & Effy May Sackett." Doty, Mable F, dau, b. Oct 1889, 10, b. IL, father b. VA, mother b. IL. Doty, Fern, dau, 20, single, b. IL, father b. PA, mother b. IL, operator, telephone. Hinshaw, Richard, son [sic], 5, b. IL, father b. IL, mother b. IL.